Steven (Chicagoland, United States) on 28 November 2017 in Landscape & Rural and Portfolio. 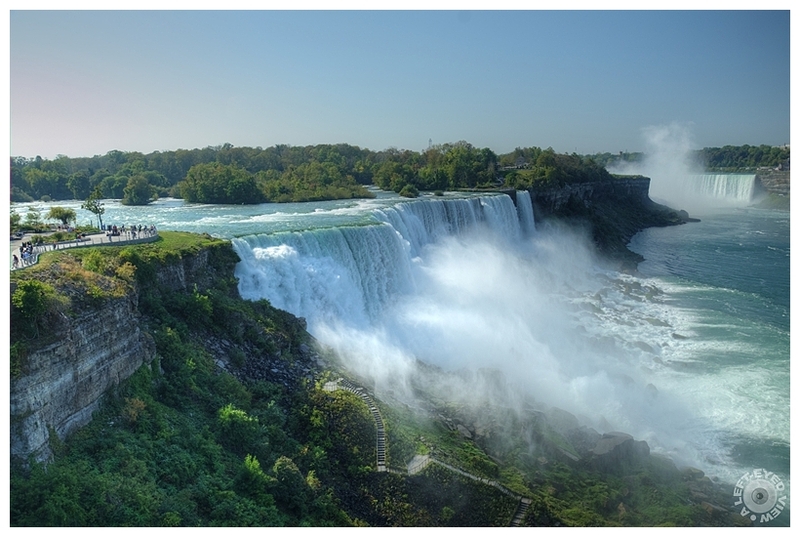 View of American Falls, Bridal Veil Falls (in the foreground) and Horseshoe Falls (in the background), the three falls that make up Niagara Falls. This view is taken from the American side of the Falls from Prospect Point Observation Tower, which is just east of American Falls. The people to the left of American Falls help give a sense of scale. You can also see stairs at the bottom of the Falls where people can get up close and personal (and soaking wet). Photo taken September 27, 2017. I can feel the thunder . . I've seen them from the Canadian side, this one is nice too! Double chute d'eau et l'évaporation de l'eau mervielleux. No one at the bottom? It must be freezing cold then! Il est vrai que l'on montre plus souvent le côté canadien. Ce côté américain est tout aussi impressionnant. Something other than the postcard view, and fantastic for that reason. You managed to get both falls into the frame. Fantastic view of this fantastic and unique place. And I note that in spite of all the human construction that exists around, nature and green maintains a strong presence. An amazing image of these gorgeous falls. Thanks for the information, too. An amazing view which is just spectacular. That is a lot of stairs to climb! This shot really shows the scale of the falls. Beautiful shot - I like your choice of shutter speed for the falls! You are definitely capturing the Falls in the right lighting, at the right time. So beautiful!